What Happens When we Tap? To answer that question we spent a weekend with neuro-monitoring experts Donna Bach and Gary Groesbeck and the MindMirror EEG technology. We saw how our brainwaves calm and stabilise when we do EFT. Read on to find out more about brainwaves and tapping. In April 2008 Gwyneth invited Donna Bach and Gary Groesbeck to the UK and the Exploring Consciousmess with EFT conference gave us the opportunity to see brainwave monitoring make emotional change visible and helped us all to understand what is happening in conscious, subconscious and unconscious mind when we tap. We saw, when using EFT, significant changes in states of mind displayed through changes in brain waves and heart coherence, changes that reflect a shift towards the awakened mind state of higher performance, deeper personal insight, and increased creativity. Have you ever wondered what is going on when we tap? As we use EFT with others we see them visibly soften and hear their words as they gain a new perpectitive on that which moments ago had been so troubling. Using EFT for ourselves we relax, gripping emotions dissolve, elusive insights and long lost memories pop into mind and pain loses its intensity. 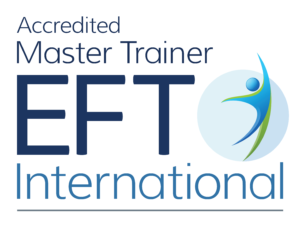 EFT has been growing and spreading for well over a decade and there are now hundreds of thousands worldwide experiencing surprising personal and therapeutic change. However we have little scope in the English language to describe what is going on and often resort to expressions such as “energy shifts”. During the Exploring Consciousness with EFT conference we demonstrated advanced EFT techniques whilst the Mind Mirror EEG and Heart Math technology made visible the resulting brain and heart changes. We gained a better understanding of the effects of EFT on brain and heart and that learning guides us to improving our practical use of EFT. We investigated the effect on the states of consciousness of both the therapist and the client during EFT work, and also surrogate work and tapping on bears. The original research into the frequencies and patterns of brain waves was conducted by the brilliant British biophysicist, and zen master C. Maxwell Cade . Cade measured the brain wave patterns of many healers, spiritual teachers and advanced meditators as well as 300 of his own students. He found a pattern that he identified as a step beyond meditation that exhibits the “lucid awareness” of meditation “coexistent with thought processes”. Cade presented his remarkable discovery in his book “The Awakened Mind: Biofeedback and the Development of Higher States of Awareness”, which he co-authored with Nona Coxhead (Dell, 1979). For almost three decades since then Anna Wise, Max Cade’s protege, has measured the brainwave patterns of people whose states of consciousness one would wish emulate – spiritual masters, meditation teachers, and people of optimum creativity in all walks of life. The brainwave pattern that she found, named the Awakened Mind, is a combination of all four categories of brain waves – beta, alpha, theta, and delta – in the right relationship and proportion. BETA brain waves are the fastest frequencies ranging from 14 cycles per second up to 38 cycles per second. Beta is your normal thinking state, your active external awareness and thought process. Without beta you would not be able to function in the outside world. ALPHA brain waves are the brain waves of relaxed detached awareness, visualization, sensory imagery and light reverie. Ranging between about 9 cycles per second and 14 cycles per second, alpha is the gateway to meditation and provides a bridge between the conscious and the subconscious mind. THETA brain waves are the subconscious mind. Ranging from about 4 cycles per second up to 8 cycles per second, theta is present in dreaming sleep and provides the experience of deep meditation when you meditate.Theta also contains the storehouse of creative inspiration and is where you often have your spiritual connection.Theta provides the peak in the peak experience. DELTA brain waves are your unconscious mind, the sleep state, ranging from about 4 cycles per second down to 0.5 cycles per second. When present in combination with other waves in a waking state, Delta acts as a form of radar – seeking out information – reaching out to understand on the deepest unconscious level things that we can’t understand through thought process. Delta provides intuition, empathetic attunement, and instinctual insight. It is also the brain wave most associated with energy healing. The MEDITATION brainwave pattern is a combination of alpha and theta where theta provides the depth and profundity of the meditation experience – the subconscious inner space from which creativity, insight, and healing spring – and alpha provides the bridge, or the link, to the conscious thinking mind so that you can actually remember the contents of your meditation. Thinking feels fluid rather than rigid. Emotions become more available and understandable, easier to work with and transform. Information flows more easily between the conscious, subconscious, and unconscious levels. Gary Groesbeck writes: We are seeing some very rapid and significant changes in the overall brain wave patterns that mirror the release of emotional issues during the sessions. The heart monitoring has also shown instant, healthier responses to the resolution of emotions. There are some important shifts that suggest an accelerated movement towards improved brain function using EFT. Initially, during the course of a session as personal issues are being resolved, we see a decrease in overall brain wave energy. This reduction in energy occurs more rapidly than in just a simple relaxation period, often within a single round of tapping. There are many in the field who feel that as the brain works more efficiently, the amount of energy in the cortex, or surface of the brain, decreases. This is exactly what we observe. Along with this was an increase in brain symmetry, that is both sides of the brain, the hemispheres, begin to work together in a more balanced manner. People often have the mistaken assumption that they are either right brained or left brained, in truth we are both, and the two sides of the brain need to work together for optimal health and performance. This is what we see happening over the course of an EFT session, people have increased hemispheric integration or balance. Next we observed a general decrease of energy in the highest frequencies, sometimes called beta one and two. This band of energy is often associated with emotional intensity, anxiety, stress, negative ruminating and possible history of addictions. This energy band shows a decrease as emotional issues of the moment are released during tapping. As another layer of the story unfolds, beta can flare again as the new issue emerges, followed by more tapping, until it again is reduced to a new healthy level. This makes it possible to determine whether or not the person has another layer of issues to access for further tapping. As people tune into their issues we also see an increase of energy flares in the slower frequencies called alpha and theta. These frequencies show an internal focus and the emergence of memories often associated with the symptoms at hand. Without an alpha bridge emotional memories in the theta range are often lost, or remain unconscious. So it is important that we can see an increase of this alpha bridging occurring with the EFT. This allows people to more readily connect with the issues that need to be resolved. We can visibly see the theta brain wave spikes, even when the person may not be conscious of the emotional connection to what they are saying. Finally as core issues begin to be resolved we are able to see, in some people, the development of the pattern we call the high performance mind, also called the “Awakened Mind” pattern. This pattern occurs in moments of emotional, personal, creative, and spiritual insight. It is the pattern we see in long time meditators. It is the pattern of a brain that is humming along at optimal performance, like a well tuned engine. It would appear that as EFT quickly aids in resolving long term emotional issues it also can tune the brain to its highest levels of performance. Other measurements of the stress response, such as heart rate coherence, show reductions of stress, and an increase of healthy functioning on all levels. What did people say about the Exploring Consciousness workshop in 2008?